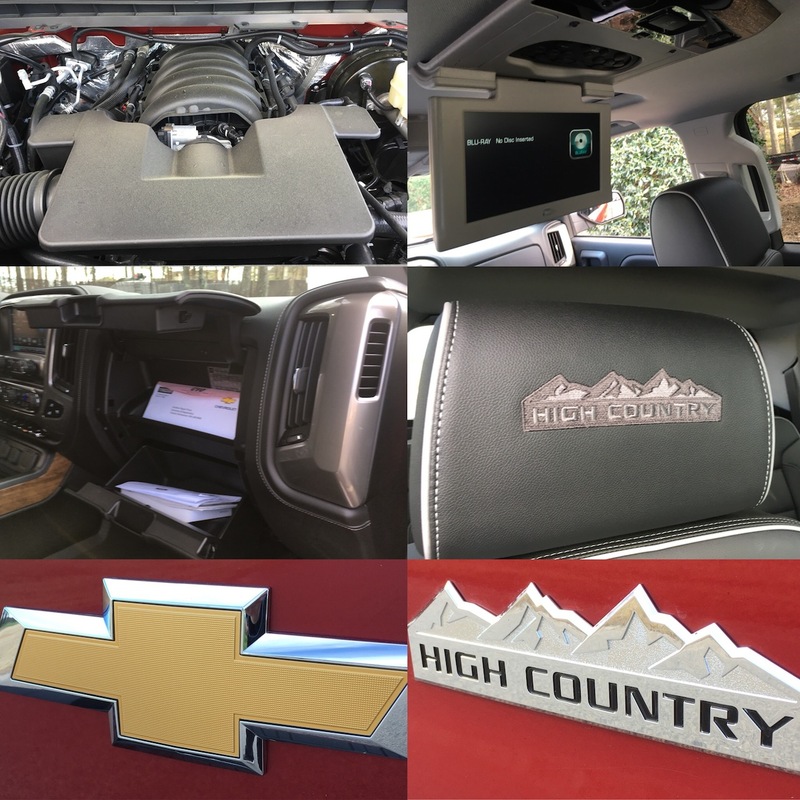 High Country Chevy is at the apex of the Silverado range. 2018 Chevrolet Silverado High Country Crew Cab. Mostly everyone knows the next-generation Chevy Silverado 1500 is on its way, with production beginning this fall and the first models arriving sometime ahead of the Thanksgiving-Christmas-New Year holiday season. The good news here is a larger, more powerful and lighter 2019 Silverado model is planned. The bad news, at least from Chevrolet’s perspective, is that you may forget the current model is widely available and will be for the rest of the calendar year. Take heart Chevrolet, because the current Silverado is still in demand. 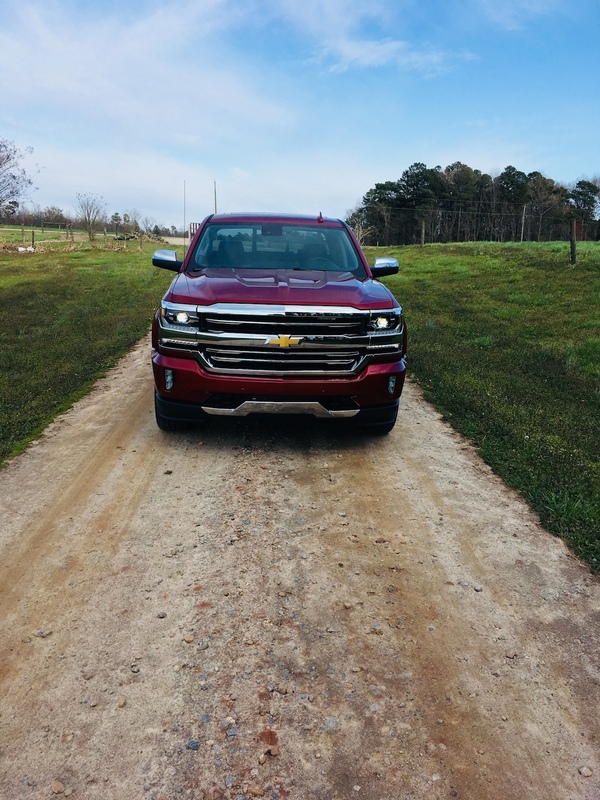 Further, with nearly 700,000 shoppers choosing a new Silverado or Colorado in 2017 in the US alone, you’ll find enough consumers who simply won’t want to wait. Lastly, from the consumer’s perspective, big discounts on outgoing models are always a huge draw. Although we don’t delve into them when writing our reviews, as of this writing they’re quite strong. Just saying! The 2018 Chevrolet Silverado comes in eight trims. Yes, eight! Chevy starts things off with the Work Truck, then rolls out LS, Custom, LT, LT Z71, LTZ, LTZ Z71 and High Country trims. You have a choice of standard two- or available four-wheel drive. Moreover, regular, double and crew cab options along with short, standard and long box options will keep you busy in your search for the right truck. My recommendation for shoppers is this: acquaint yourself with the Configurator on the brand’s site at Chevrolet.com. It’ll help you understand what you’re getting, including packages and accessories. Drill down and you’ll find the payload and towing information. It is quite a useful tool, one that I recommend. 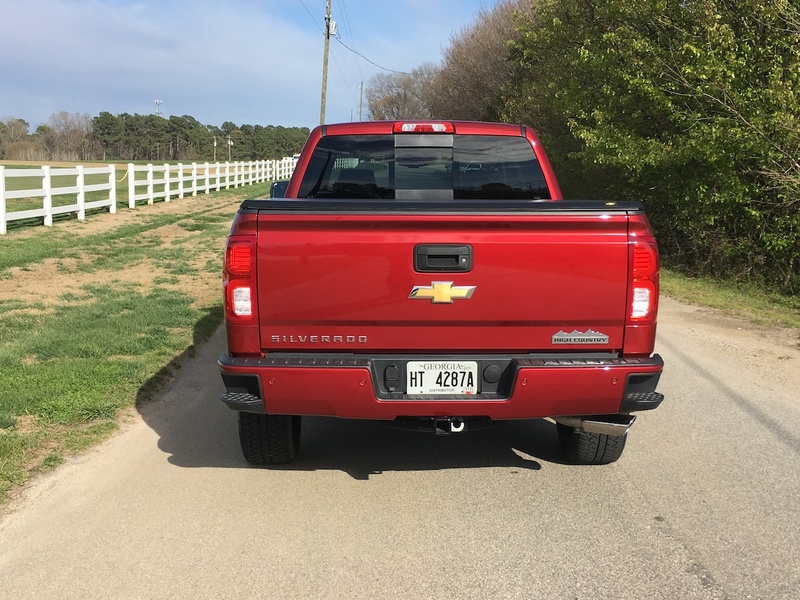 Earlier this year, I drove the Silverado LTZ Z71 with the Centennial package. This past week, it was the top-of-the-line Silverado 1500 High Country -— a crew cab model with four-wheel drive. As you might guess, there is quite a price disparity between models, but it narrows significantly when you choose the same cab, engine and drivetrain configurations. As for the drive, I covered those details earlier, so let’s take a deep dive into all things High Country. You won’t find the High Country name attached to regular or double cab models. It is only available as a crew cab, but you do still have a choice between rear- and four-wheel drive. 2. Short or standard boxes. Box size is important to pickup truck buyers. The High Country offers both 5-foot, 8-inch or 6-foot, 6-inch beds. You’ll also find chrome assist steps and four tie downs, and an available multi-fold hard tonneau cover along with cargo box lighting. Bling is often the sign that your vehicle is a cut above the rest. To this end, the High Country features 20-inch chrome wheels with 22-inch wheels available. Chrome is also heavy, so much of the bling found on the top-end Silverado covering the grille, mirror caps, handles and other surfaces is brightwork plastic. You’ll also find High Country badging placed strategically on the exterior as well as imprinted on the front headrests. 4. Your choice of V8s. Chevrolet has two V8 gas engines in its arsenal. One is ubiquitous with its big trucks and SUVs. The other is typically found in heavy-duty applications. The standard V8 is GM’s small-block engine, a 5.3-liter with 355 horsepower and 383 pound-feet of torque. If that’s not enough power, then the 6.2-liter V8 with 420 horsepower and 460 pound-feet of torque might do. Both engines deliver the off-the-mark kick and passing power you want, which is especially noticeable in the larger engine. Add in the throaty sound of either one and a smile will likely cross your face. Keeping the happiness going is a smooth-shifting eight-speed automatic transmission. Who needs 10 cogs when eight will do?! 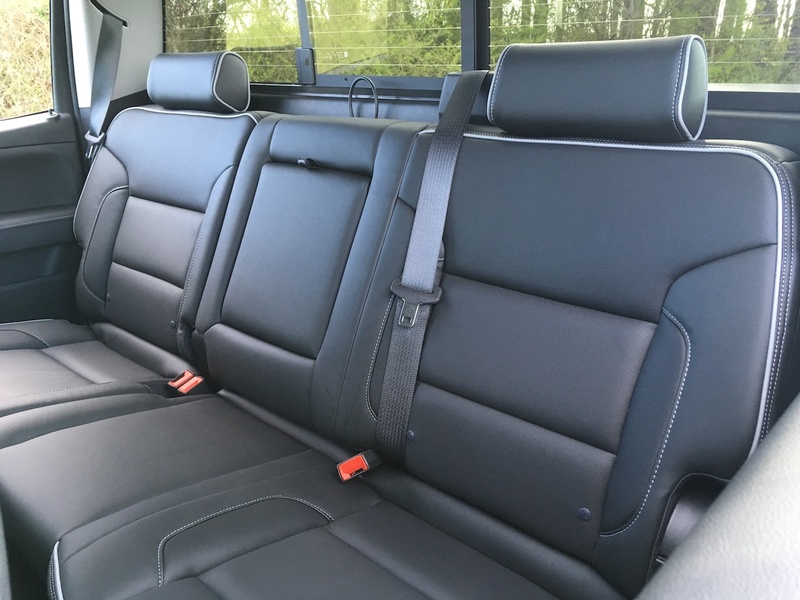 How do you dress the High Country’s interior? You start off with wide bucket seats up front and a 40/20/40 split-fold-up bench seat in the rear. You cover the seats in leather and do likewise with the steering wheel. Double stitching surrounding the dashboard and door handles adds elegance. Woodgrain and other brightwork trim raise interest. Add in heated and cooled front seats and a heated steering wheel and you have one very comfortable cabin. Notably, back row passengers aren’t cheated here. In fact, the seats are plush and supportive. 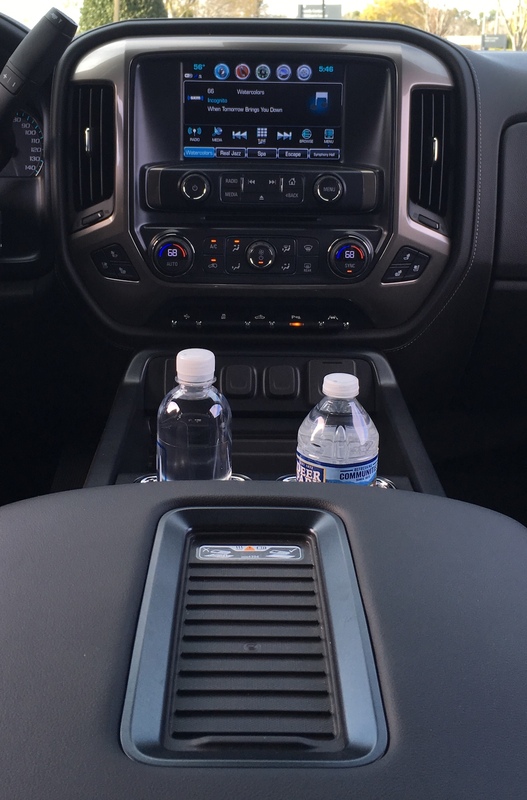 Further, you’ll find in-door drink holders and storage pockets, USB ports and a 12-volt outlet. Chevrolet may have the best tech features of any mainstream brand. They’ve long offered OnStar, which still supplies a guidance plan and includes 4G LTE with a WiFi hotspot. There is something about accessing the Internet while on the road with no connectivity nearby. Create your own hotspot and connect up to seven devices. 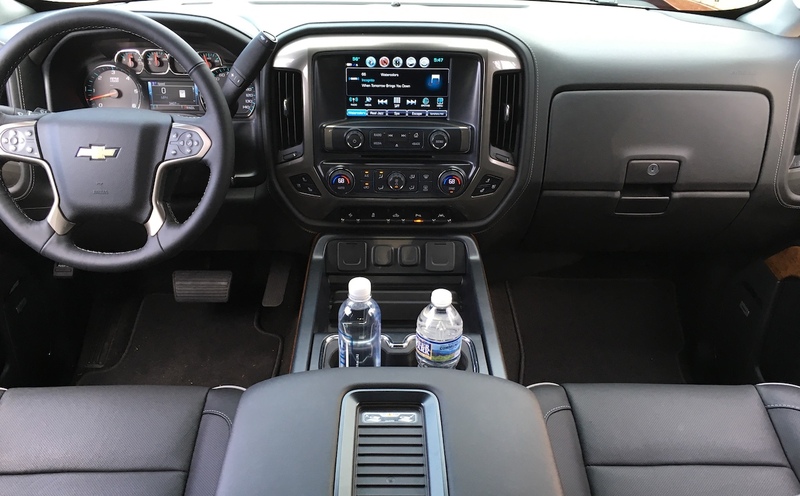 You’ll also find an eight-inch color display, USB ports, an auxiliary jack, Bluetooth and a seven-speaker Bose audio system with a subwoofer. There are a few things to keep in mind when shopping the High Country. First, the Cajun Red Tintcoat on my test model was one of three premium colors beyond the five standard ones. This one cost $495, the other two were $395 or $995. Second, the side assist steps are handy, but they’re fixed. If you plan on going off-road, the power-retractable assist steps are the better choice for avoiding possible damage. They’re part of a $6,995 High Desert Package or you can order them as part of a High Country Deluxe Package ($7,730, reduced to $4,230). Third, wheel choices can get quite pricey. The 22-inch silver wheels are included in the package, but upgrading to black wheels will set you back by nearly $3,000. Then again, the Configurator may have you swap out the wheels at no charge, depending on your package. Fourth, the Performance Brake Upgrade System may be ideal for heavy-duty towing. Here, you get red Brembo six-piston fixed aluminum calipers and large rotors. The brake pad and rotor areas are larger too, so you’ll pay $2,795 for this upgrade. Add $1,249 for the available cat-back exhaust system. Fifth, a rear entertainment system is available. 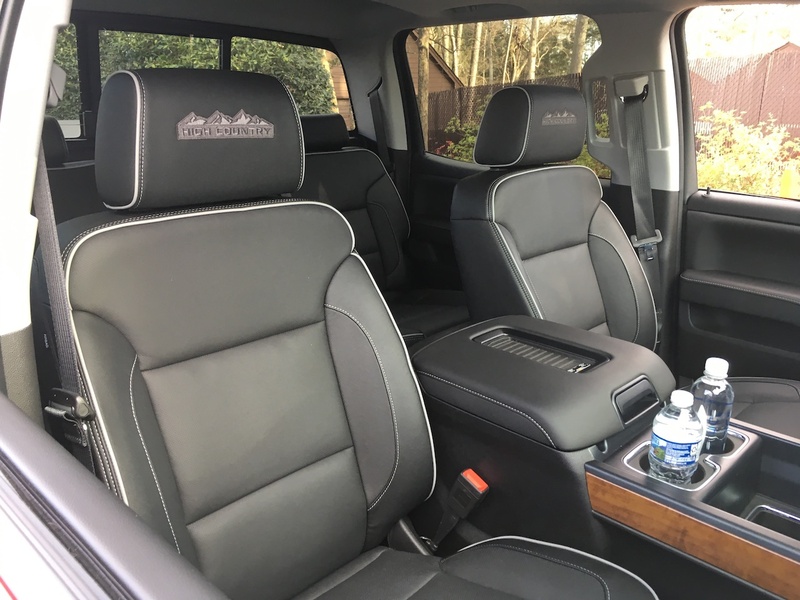 Consider this option if you buy a Silverado with your young family in mind. For $1,620 you get a drop down 9.2-inch color display, a Blu-Ray/DVD player and wireless headphones. Add in most of the available amenities and your price will likely come in somewhere above $70,000. Again, not all discounts have been factored in. Find out from your dealer which ones apply to your vehicle. I’m not here to tell you to buy this truck or opt for that model year. 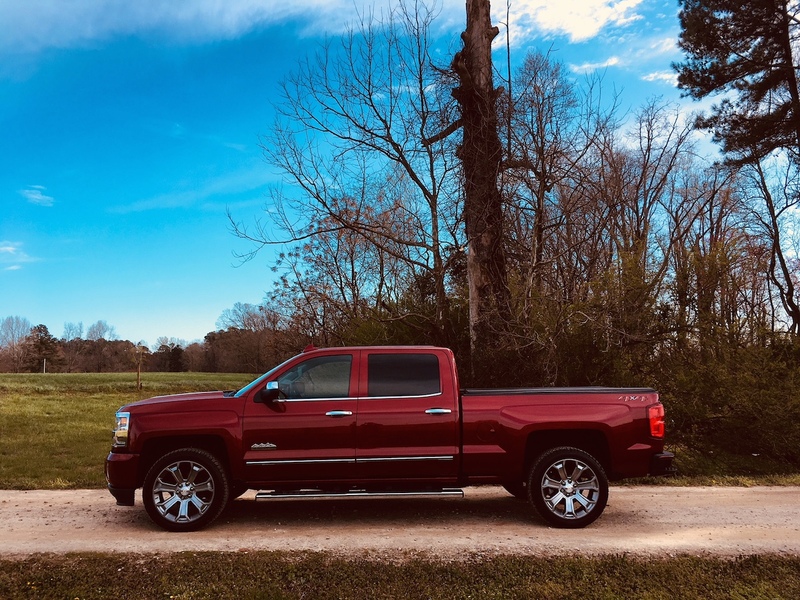 What I can tell you is that for pickup truck shoppers wanting the maximum package, the 2018 Chevrolet Silverado High Country does not disappoint. If your budget for a crew cab is below $50,000, you still will find ample choices. Some trade-offs in engine availability and creature features will factor in, but a truck to your liking is certainly within your reach. 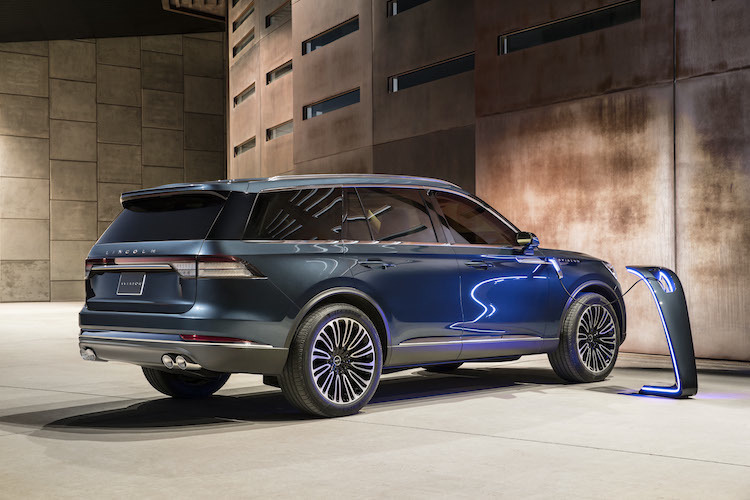 New Aviator SUV strengthens the Lincoln marque. The Lincoln Aviator will return in 2019. The Lincoln Aviator is back, an all-new SUV set to take flight next year. Notwithstanding the obvious aviation references, the 2019 Aviator may very well enable the Lincoln brand to recapture at least some of its past glory, particularly as the preeminent American luxury automotive brand. The 2019 Aviator was presented at a media conference at the New York International Auto Show this week. It joins the bigly Navigator and the soon-to-be-renamed two-row MKX (Nautilus as of 2019). The compact MKC starts things off for Ford’s luxury brand. As for the MKT, the wagon-like outlier of the utility vehicle bunch, we don’t see its ongoing usefulness to the brand. Perhaps it will soldier on in a livery capacity for another year or two — gosh, don’t they make nice funeral cars? The 2019 Aviator sits on a rear-wheel drive platform with available all-wheel drive, but is based on unique architecture that is not related to the similar-sized Ford Explorer. Indeed, the Explorer comes with standard front-wheel drive. Unlike the body-on-frame Navigator, the Aviator is unibody — just like the Jeep Grand Cherokee and the Land Rover Range Rover. The canvas features clear-cut Lincoln touches, beginning with the mesh grille now commonly used on other Lincoln models. Signature LED lights and a narrow lower grille are other upfront features. Take note of the nose ridge on the hood, then allow your eyes to scan the profile. A high beltline underscores this SUV’s powerful stance. Body sculpting and a character line that runs through the door handles adds visual interest. The roofline gently slopes to the rear, which is marked by wraparound tail lamps with a connecting light bar. Inside, you’ll find a spacious cabin with seating for seven. The Lincoln press release uses beautiful flowing prose to describe that space, but it probably means little to you if you haven’t seen it. Breaking it down into decipherable language, you’ll find such features as available 30-way power front seats with massage capability, aluminum trim and leather-trimmed seats. Tech features include a 12-inch color display, wireless phone charging inside the front armrest, WiFi connectivity and power outlets throughout the cabin. Lincoln will also offer its “Phone as Key” technology where drivers will be able to start their SUV with their smartphone. Lincoln hasn’t revealed the engine slated to power the Aviator. We do know that it will be a twin-turbo, likely a V6 displacing at 2.7-, 3.0 or 3.5 liters. The middle engine is a Lincoln exclusive and is our pick if we were to choose one of the three. A 10-speed automatic seems likely as well. We expect Lincoln to offer multiple drive modes and you’ll also see the now familiar piano key transmission controller. Not only will the Aviator receive dual boosting power, but it will offer a plug-in hybrid variant similar to the one showcased in New York (and pictured here from the rear). When added to the standard twin-turbo gas engine, we’re likely to see impressive performance numbers. 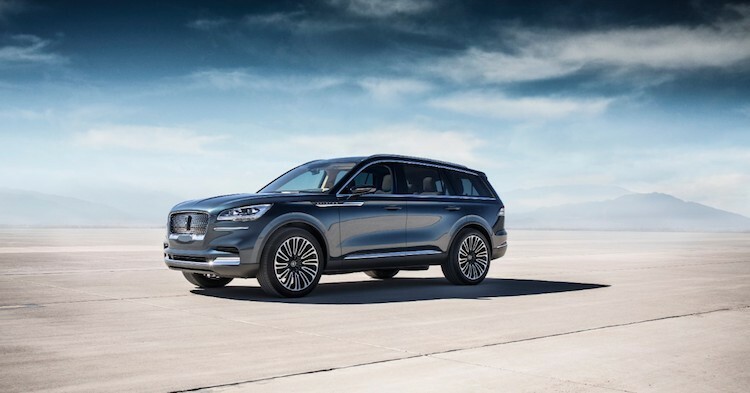 Lincoln, however, hasn’t shared those details nor has it hinted at its range. 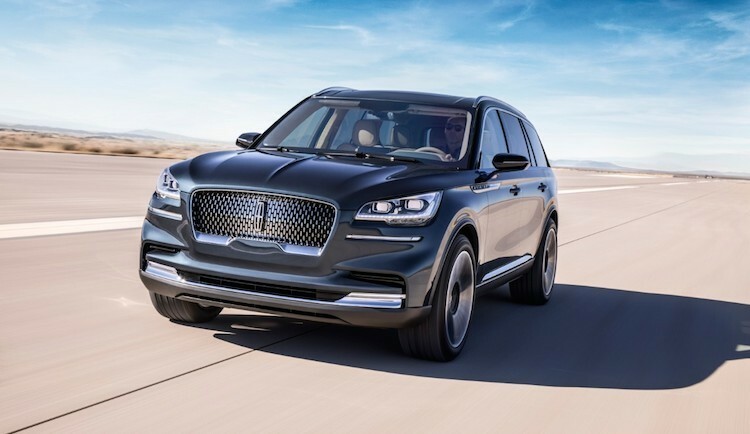 The Lincoln Aviator is designed to fill a gap in the Ford utility vehicle segment. It is also expected to drive sales, helping Lincoln achieve its goal of 300,000 annual global units by 2020. A significant portion of those sales will be in China with the United States and Canada contributing the balance. Lastly, there is always a chance the model will be the 2020 Aviator, given its 2019 release. No matter, this SUV’s arrival will be a welcome addition to dealer fleets. Photos courtesy of the Lincoln Motor Company. All rights reserved.